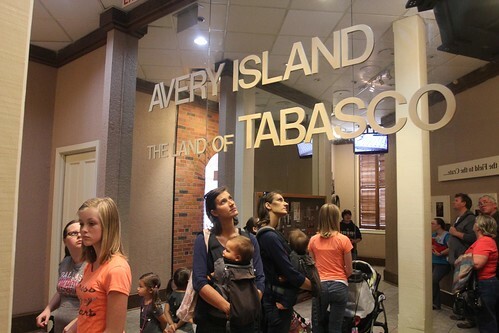 Mali Mish - Day 185: Tabasco Factory and Jungle Gardens at Avery Island. 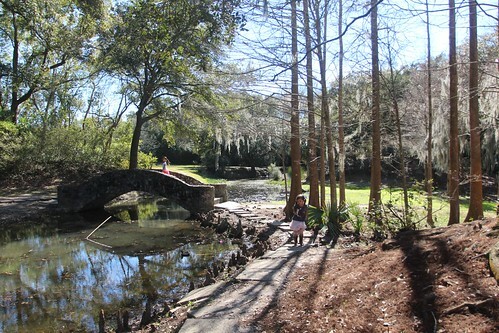 I suppose Avery Island is technically an island as there is water that runs all the way around it. In the same way that a moat surrounds a castle. The island is actually a giant and ancient rock salt dome. Over the last several thousands of years, it rose up and became the island it is today. It is named after the Avery family that owned the land in the early 1800s but native Americans existed in the area long before that. 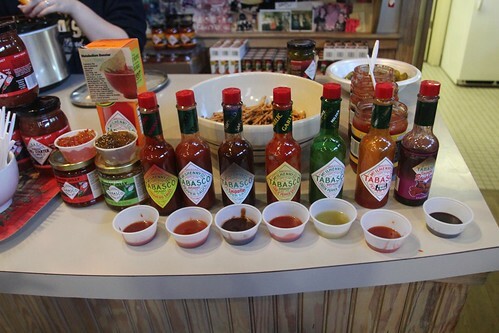 The founder of Tabasco Sauce is a man named Edmund McIlhenny. I am sure you have seen the label on the hot sauce bottle that says McIlhenny Co. across the top of the world famous pepper and vinegar concoction. He married an Avery and ended up on the island when he invented the sauce. We got there so early that the first tour of the day has not even started. For a weekend morning, it seemed pretty quite around here. 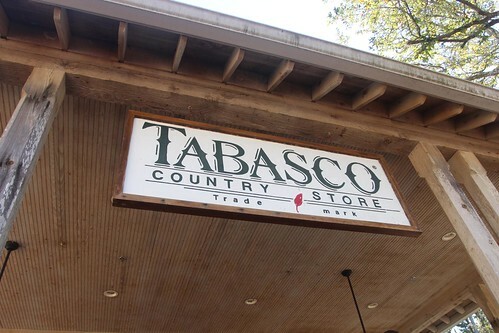 While we wait for the tour to start, we got a little sneak peek at the Tabasco Country store. 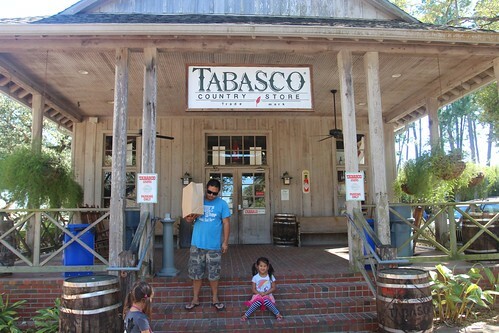 The Tabasco Country Store at Avery Island turns out to be the highlight of our visit at the Tabasco factory. As you would imagine, it has everything Tabasco that you can imagine. All flavors of the sauces are available for sample with pretzel sticks as the utensil of choice. There are also things here that you probably would not have imagined that have also been impregnated with the vinegar chili sauce. 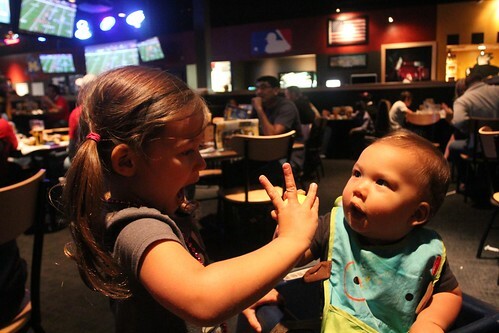 Like this Tabasco flavored ice cream Ava was brave enough to try. Finally we were able to get into the tour. One of the employees at the Country Store turns out was our tour guide as she gave us a run down of how the signature hot sauce is made and some of its history. 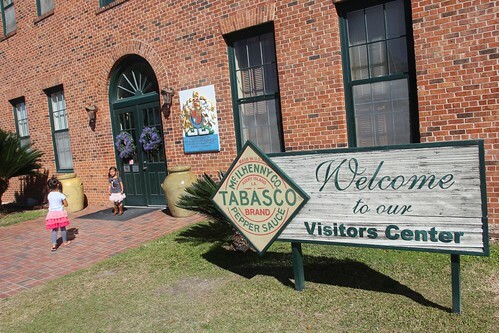 Like a fine wine, Tabasco Sauce has to be aged in oak barrels for several years before they are ready to be bottled. 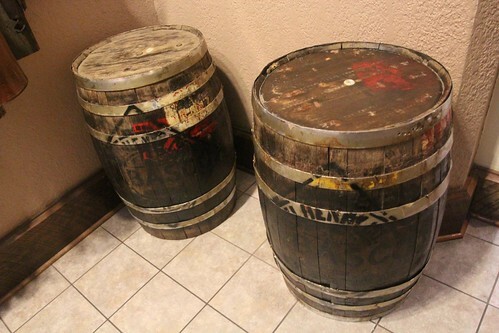 I was surprised to hear that these oak barrels use to hold Jack Daniel’s Whiskey. 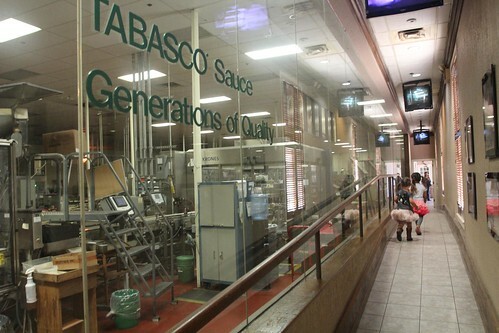 Tabasco buys the barrels exclusively from Jack Daniels, grind the charred interiors off of them and uses them to store fresh batches of sauce. The tour was actually quite short. Besides the overview by the tour guide in the first room, we watched a video that probably could use a little refreshing. The last part of the tour is a walk past this glass-walled production facility. Since it was a Sunday, there was nothing being produced. 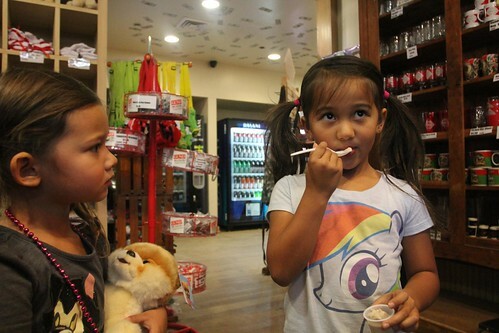 Our tour ended back at the Country Store where Ava helped herself to some more Tabasco-infused ice cream. 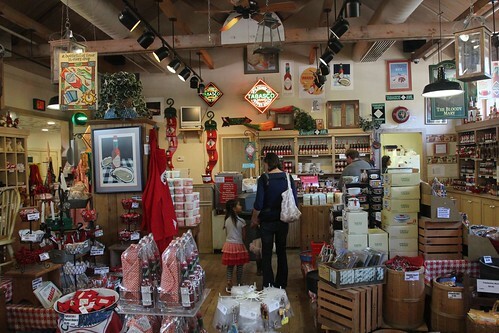 We walked out of there with a bag full of Tabasco paraphernalia. 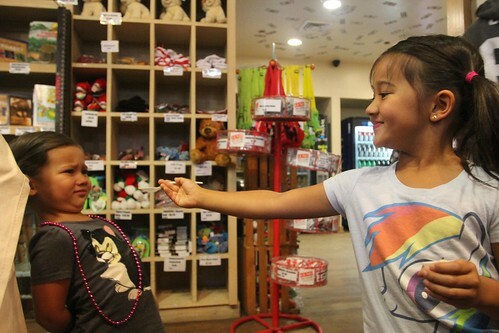 I dare anyone to walk into that store and not buy anything. I don’t think it’s possible. 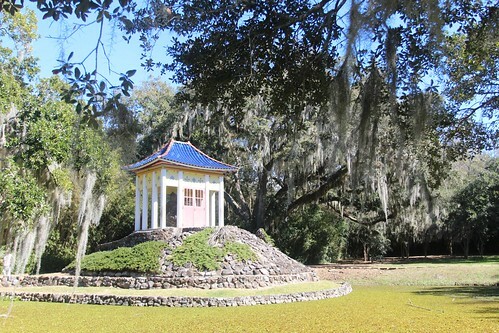 On Avery Island, there is also a couple of other attractions worth seeing. 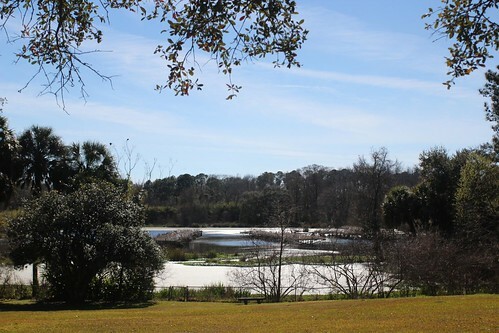 Edmund McIlhenny’s son Edward was a big conversationalist and used the 170-acre property to cultivate lots of plant life as well as a sanctuary for wildlife. Jungle Gardens and Bird City were a result of his passion. 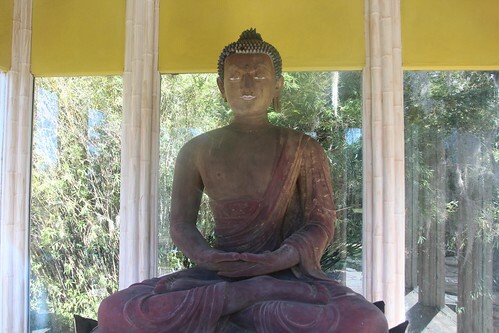 In Jungle Gardens, a Chinese temple houses a centuries old Buddha statue that was given to Edward back in the 1930s. It was at one time stolen by thieves but recovered and restored back at the temple years after. Edward passed away at the age of 83 in January 2012 but the Tabasco company his father started continues to be run by members of the McIlhenny family. Since our visit here at the beginning of February, Paul McIlhenny has also passed away on February 23rd, 2013, leaving the top job to the COO and his cousin Tony Simmons. 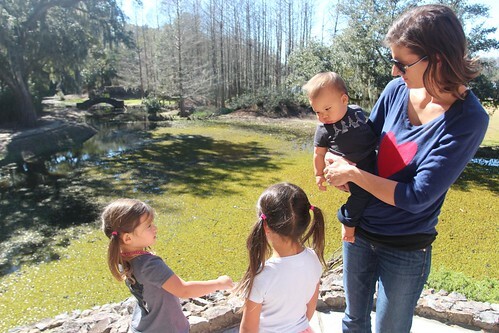 The Jungle Gardens tour is a self guided visit. Visitors drive their own vehicle through the park on a 4-mile path. Along the path, there are various places to stop to take in the scenery as you wish. As you get near the end is where you can park and walk down to a neat little place called Bird City. Without knowing the story behind Bird City, one might just see this as a place where migratory birds come to mate for the winter. In fact, most of these birds are descendents of 8 egrets Edward McIlhenny hand raised and released. At one point, egrets in this area became scarce due to hunters and trappers decimating their population for their plumage. Edward released those 8 egrets to the wild upon adulthood so they can migrate for the season. Every year since then, those 8 egrets and their descendents have been coming back to this spot in Avery Island to mate and reproduce. It is one of the greatest success stories of wildlife conservation. 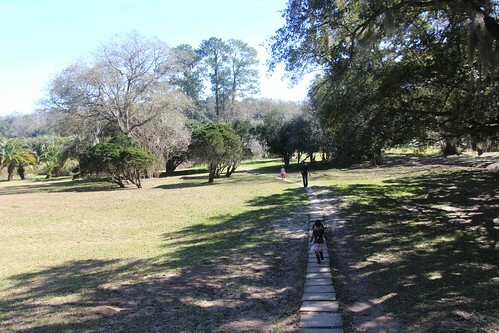 After our visit to Avery Island, we headed back on the road towards Lake Charles. 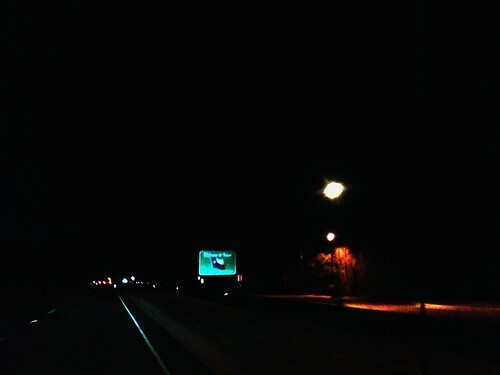 Our original plan was to go to L’Auberge du Lac Casino for dinner. That is where I had my first crawfish buffet in Louisiana during our last visit. 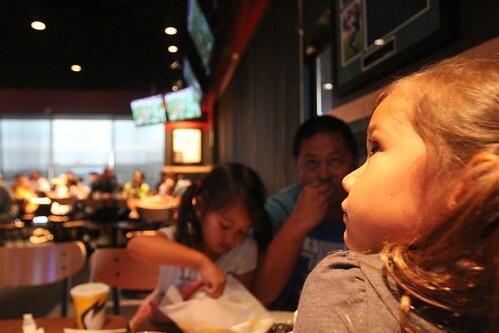 Instead we ended up at Buffalo Wild Wings just outside. Ava is a sucker for their Mac and Cheese and what better way to celebrate such a great story of fowl conservation at Bird City with a plate full of hot wings. Since today is also Super Bowl Sunday, there probably wasn’t a better place to catch the game with a cold one. 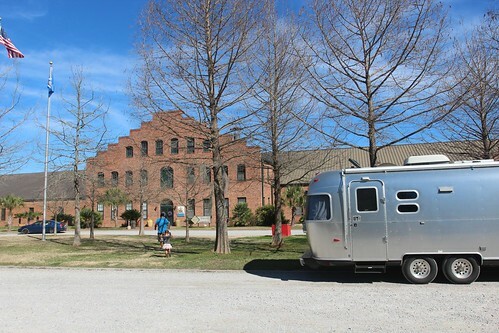 Tonight, we will leave Louisiana and head into Texas as we get another step closer to the west coast.